Many people already know about factory reset and how to use it. 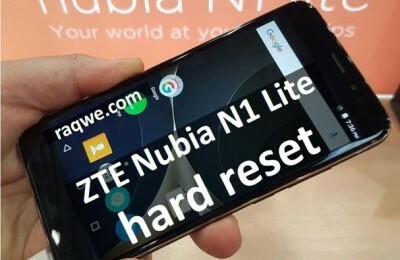 For those who do not know, we recall that a factory reset (also called hard reset) is a function built into Android, which allows you to restore factory settings. 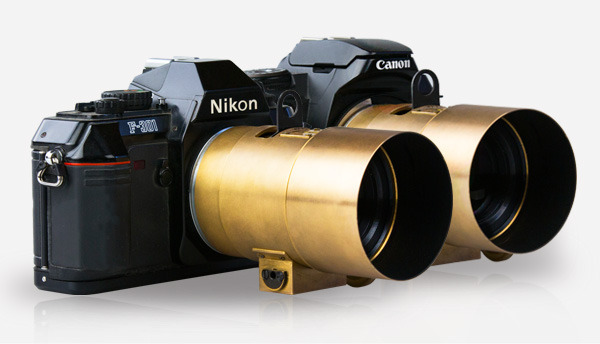 It is used in those cases, if the user forgot unlock pattern or password, as well as various kinds of software errors. Also you should know that the factory reset erases internal storage of Android device. If you forget to save your important files, you have the question of how to undo a factory reset on Android. In fact, the answer is simple – no way. If you have already started the process of factory reset, you will not be able to stop it. When you perform factory reset using settings menu or recovery mode you are warned that all files will be deleted. 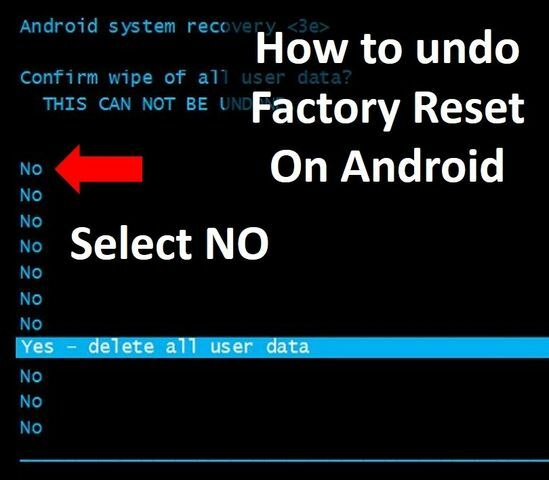 You can choose “No” to undo a factory reset on Android. But if you click “Yes”, then you will not be able to undo a factory reset on Android. 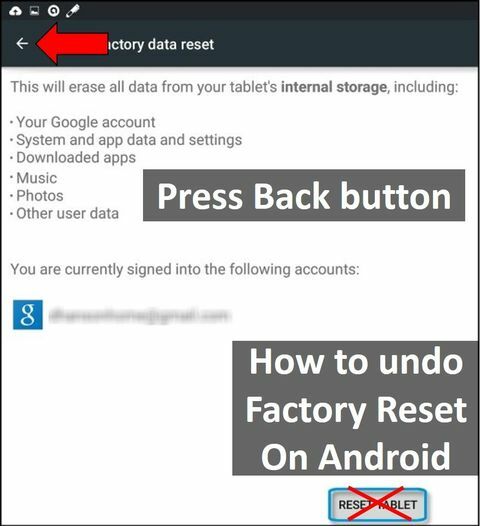 Moreover, if you have already started a factory reset process, you should not turn off or reboot your Android device and remove the battery from the rear panel. Such way you forcibly stop the process of factory reset, but it can damage your device. If you decide to undo a factory reset on Android, when the process is already running, then it is best to wait for its completion, and then try to recover data with the help of special applications or Google account. 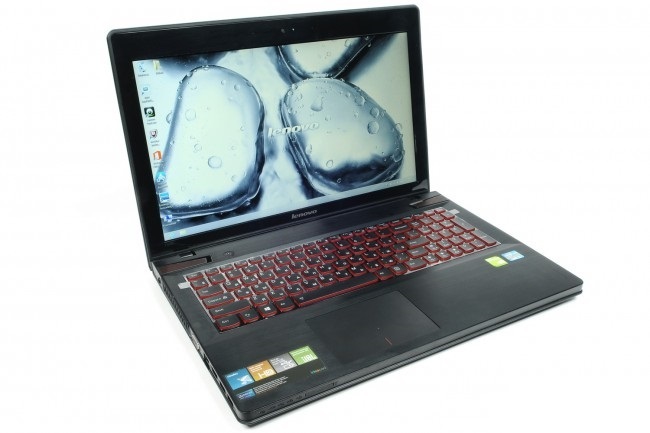 As a result, you should carefully read the warnings and tips before you start factory reset. 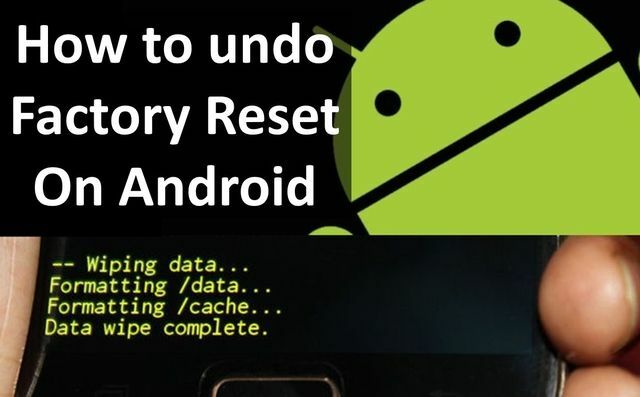 If you’re not ready, it is best to return to the previous menu or say “No”, so you do not have questions – how to undo a factory reset on Android.